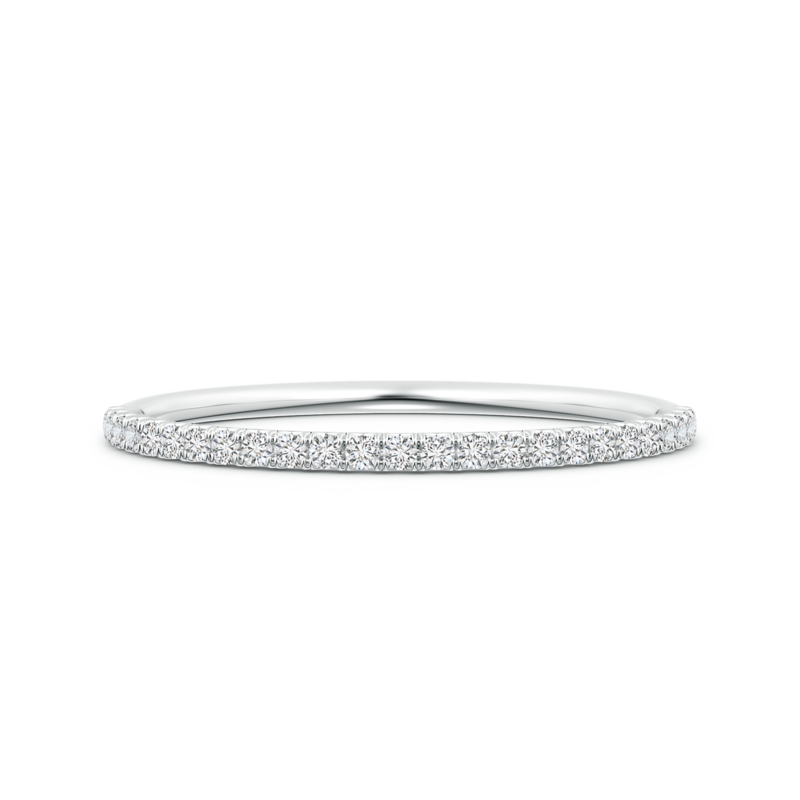 Sophistication is redefined by the simple yet extremely versatile design of this semi-eternity wedding band. It features resplendent lab grown diamonds that are partially u-pave set on this charming piece of jewelry. The shank of this half eternity band has been crafted to ensure comfort and the versatility to be worn along with other rings. The blend of 14k radiant white gold with the brilliance of eco-friendly gems together creates an alluring look that's hard to miss.